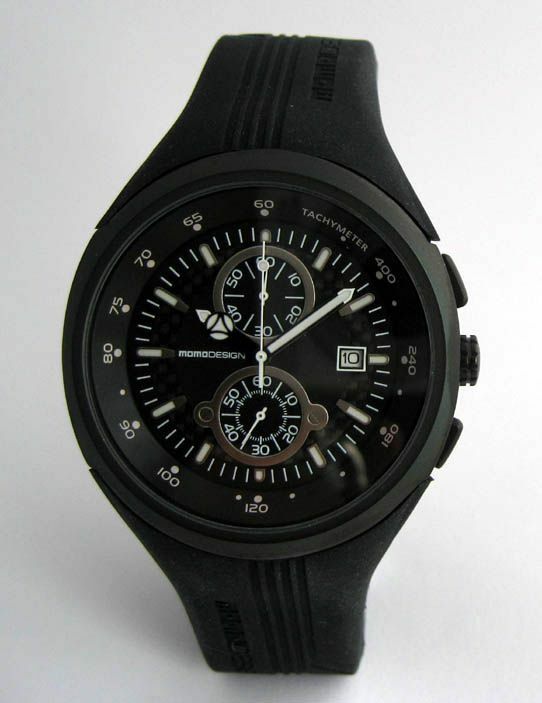 Momo Design Phantom Chronograph PVD. 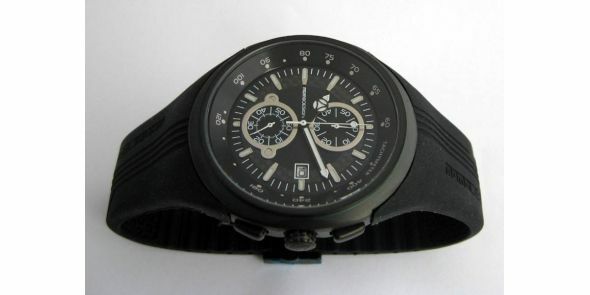 Momo Design Phantom chronograph. Handsome and practical looking watch with racing slant to it, the Phantom is made to high standards and unique Italian styling by one of the Italy’s best known design companies, Momo Design. It is a large and substantial watch and sits well on the wrist. 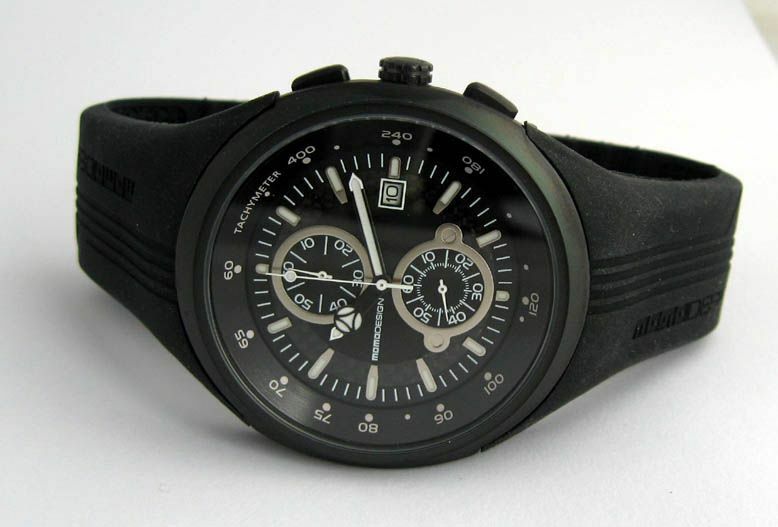 The case is solid 316L stainless steel with a sandblasted finish PVD black coating. It also got a fixed internal tachometric bezel. The watch has got a black PVD steel crown and the chrono pushers are recessed flat pushers which appear as part of the case design. It has got a hardened mineral glass. 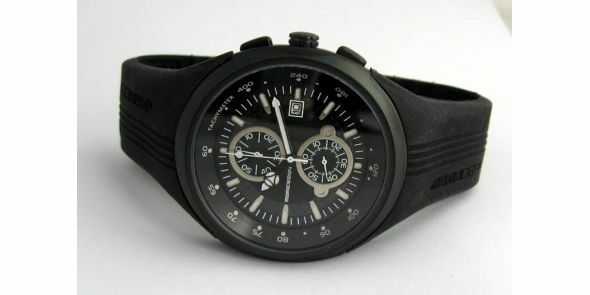 The watch is water resistant to 5 ATM which is approximately 50 metres. 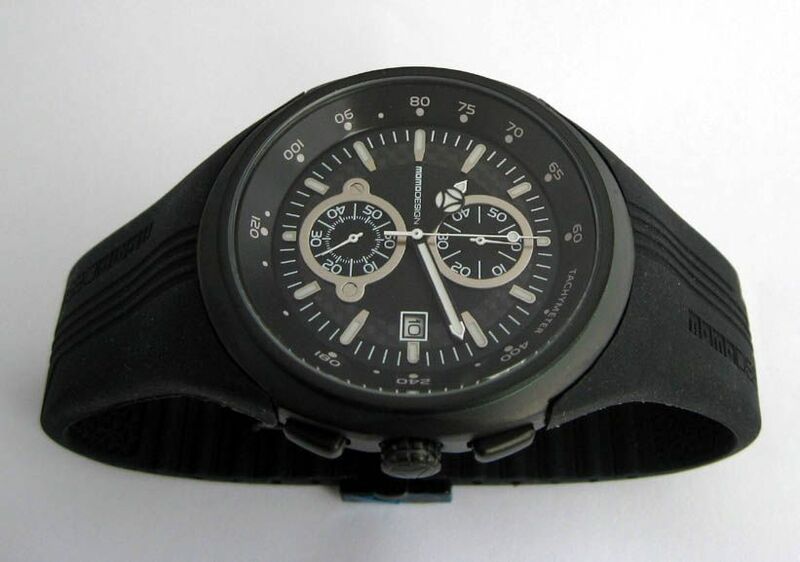 The movement is a quartz Miyota OS11 commonly used in Citizen and Seiko watches and it has a sixty minute elapsed time chronograph in an up/down chronograph sub dial configuration. There is a date at the 3 position. It comes on a rubber strap with signed sandblast finish PVD coated double push button butterfly clasp. Brand new with factory warranty with box and papers. 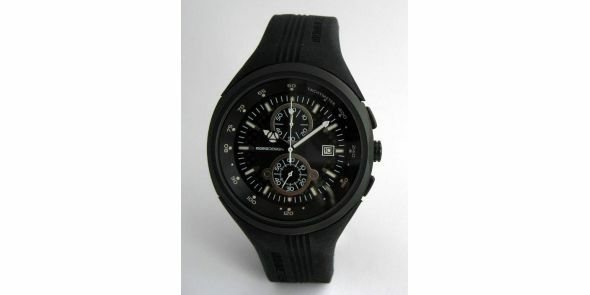 Momo Design reference number MD1003BK-01FCBK-RB. Dimensions are: width is 46 mm excluding crown, 48 mm including crown and thickness is 13 mm. MMD 08.